October’s here, and with it comes comfy sweaters, pumpkin spice everything (no shame), and our favorite — The Gathering! This event is a part of our series of intimate CMBxSofar concerts in NYC, and as always, it’s centered on meaningful dating and relationship stories. Thursday Oct. 11 at 8:30 p.m. EST, we have two *very* special hosts hailing from MTV’s “Catfish,” Nev Schulman and Laura Perlongo. Nev and Laura will help us look inward as we discuss this Gathering’s theme: dating as self-discovery. During your last few dates, have you noticed any patterns about yourself or your dating style? Anything you’re trying to work on in your relationships? What about quirks you’re learning to embrace? This Gathering, we’re turning the spotlight away from our partners and using our past dating and relationship experiences to learn something new about ourselves. And as if Nev and Laura weren’t already the reason to join us, we’ll also be highlighting three (fantastic) live music artists — all in a cool BYOB locale in Tribeca, NYC. Don’t have tickets yet? No problem. Have the chance to win free tickets for you and a friend to The Gathering by following us on Instagram @CoffeeMeetsBagel, commenting on our event post, and tagging a friend. To learn more about this event and future ones, and to purchase tickets, check out Sofar Sounds’s Gathering page. At CMB, we pride ourselves on being more than a dating app, which is why we launched offline experiences for our community. 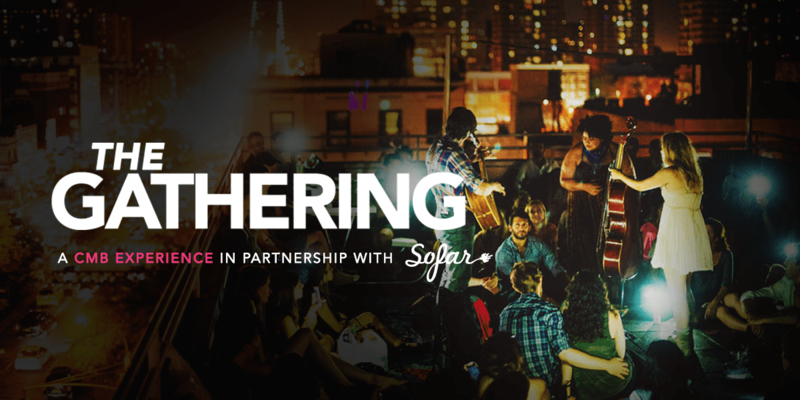 To keep up with the immense success we’ve seen in the past, we’ve partnered with Sofar Sounds to create The Gathering: a series of monthly intimate concerts centered around music and authentic relationship stories. Our offline experiences have showed us how the powers of shared, non-traditional dating experiences transcend technology, and that’s exactly why we are excited to have Ruthie Lindsey join us as the host for each Gathering event. As an influential speaker, author, podcaster, and activist, Ruthie Lindsey is an emerging authority on shaping interpersonal relationships! Each gathering event will be shaped around a particular relationship and dating-themed narrative held at ever-changing, secret venues around New York. (Don’t worry! You’ll get the address from Sofar Sounds on the day of the event with your ticket.). On top of the three performances presented by the Sofar Sounds artists, Ruthie will talk about her personal experiences with relationships of all kinds, and even engage the artists and audience to share some of their most interesting experiences. What Are Sofar Sound Events? Through the transformation of these spaces into captivating venues, Sofar serves as a platform for artists to connect with engaged audiences in cities around the world. Sofar invites guests to discover new artists, spaces, people, neighborhoods and cities, whether at home or abroad, creating an inclusive and accessible global community where people make genuine connections. Why Are Sofar Sounds and Coffee Meets Bagel Partnering? At CMB, our mission is to inspire people to share and connect authentically, both in the digital space and offline, and to empower our community with unique and exciting date ideas away from the beaten path. 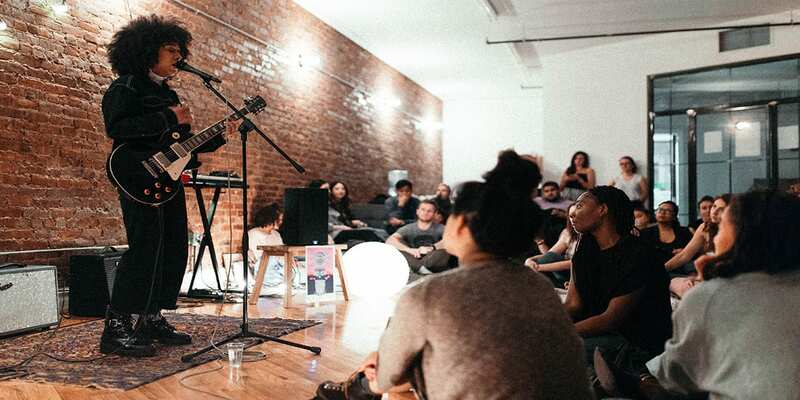 Sofar Sounds and Coffee Meets Bagel share a host of similar values and most importantly, we bring people together for authentic, intimate and connective experiences. We curate those experiences (their shows and our matches) for the benefit of our communities. Our partnership is a natural union of two brands fostering genuine connections all over the world! 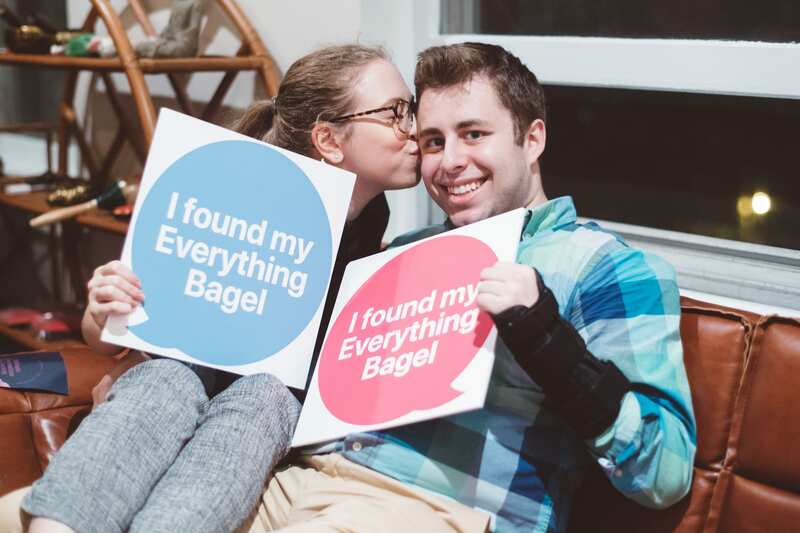 As a Coffee Meets Bagel member, you will receive exclusive preferred access to each of The Gathering events. Just by simply being apart of our community, you receive guaranteed entry to the usually apply-only shows! Click here to secure your spot today! We are excited to announce that starting in July, we will be working with Sofar Sounds on a monthly Coffee Meets Bagel (CMB) Experience in the form of intimate concerts in New York City centered around music and authentic relationship stories. 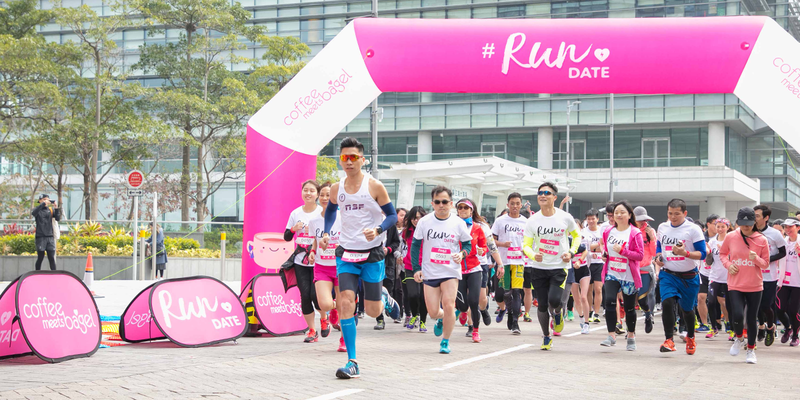 We were so happy with the responses to a series of experiences we put together such as Run Date Festival in Hong Kong and Camp Meets Bagel in New York that we want to continue creating unique, real-world events and spaces where people can go offline and engage in fun, novel, delightful experiences together. Sofar Sounds does just that – reimagining the live event experience through curated, secret performances in more than 350 cities around the world. They transform everyday spaces – from living rooms to retail shops – into captivating venues for secret and intimate live music shows. 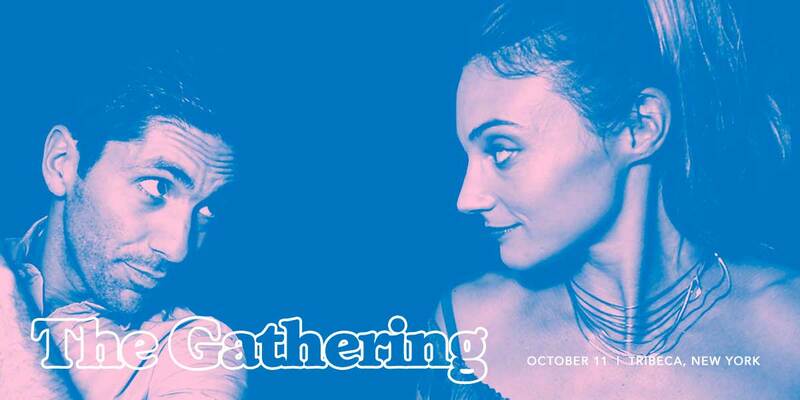 The Gathering will be immersive experiences bringing guests and artists together to enjoy great music and storytelling around the topics of dating and relationships. Each Sofar Sounds Date Night event will feature three diverse acts, with no headliner. All guests must apply to obtain tickets to the secret music shows, and since Sofar Sounds Date Night shows are designed for CMB members to connect offline, CMB Members will be guaranteed tickets with their application. It will be an intimate gathering designed to foster real conversations and connection among the guests over awesome live music; perfect for singles coming with friends or coming with their Bagels on a CMB date. The first Gathering is July 7, and tickets are $20 per person. We will be providing more details about The Gathering in the next few weeks! Not in New York? Fill out this survey so we can bring the next CMB Experience to your city! About Coffee Meets Bagel: Coffee Meets Bagel‘s mission is to foster authentic connections for this generation. The app curates quality matches with fuller profiles that result in real conversations. Globally, CMB has generated millions of real dates and thousands of lasting relationships. Coffee Meets Bagel was named one of the Top 10 Dating apps by Time Magazine and the Best Dating App for Women by Refinery29. It has also been voted the #1 recommended dating app for singles looking for relationships. CMB is free to download for iOS and Android. https://coffeemeetsbagel.com. About CMB Experiences: CMB Experiences are unique events and spaces where people can make new, authentic connections via a shared experience. 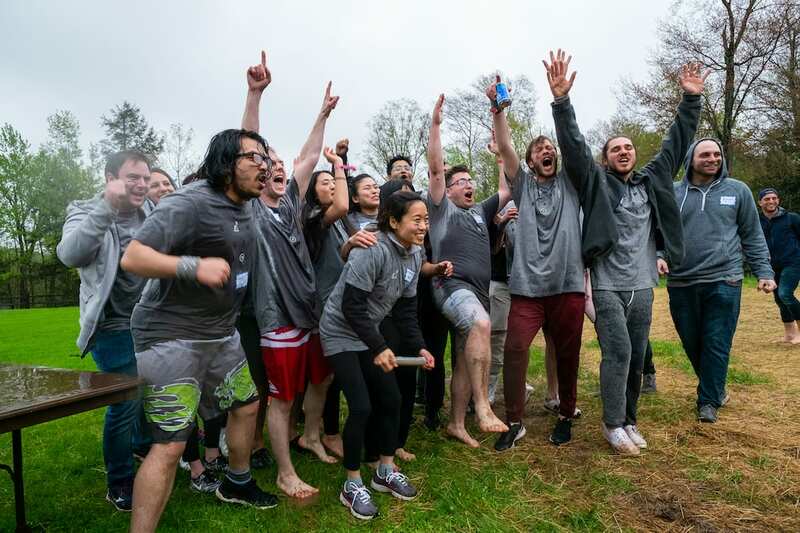 Its aim is to get participants to step away from their normal, everyday life and engage in a fun, novel, delightful experience with other great people and ultimately inspire them to share and connect authentically with each other.